The end of another school year quickly approaches families in the United States. With it, mounds of old lunch boxes, scribbled folders, used Ziploc’s, pens and tethered backpacks collect on the shelves and in the corners of houses all across America. Do we worry about reclaiming and re-using any of these items? Hardly ever. Why hold onto pencils and used folders when we know that before the next school year begins we will again crowd store supply aisles, gobbling up the latest in equipment, paper goods and accessories before they’re all gone? Sure, this yearly process can feel a little overwhelming in the moment. Financially, yes, of course, supplies are not cheap. But when is the last time any of us had to worry about access and affordability of such supplies? This is a non-issue for many families in the United States and while I know that we all appreciate this access and affordability, it’s easy to take for granted. 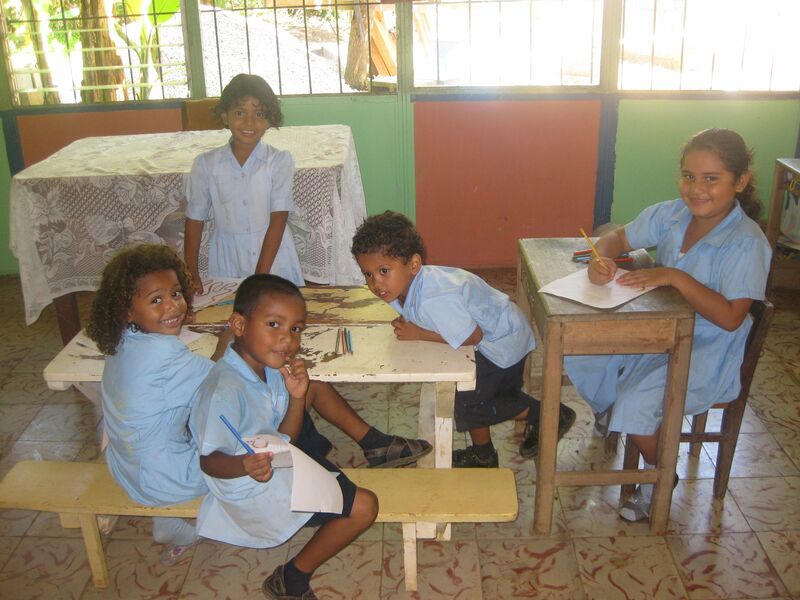 However, for children in Costa Rica, especially those in the local Nosara schools around Safari Surf School, access to and availability of school supplies is a different story. Upon arrival, it didn’t take long for either of us to recognize this deficiency; there was an immediate desire to help our tico community fulfill this unmet need. As we looked for help, the answer was simple: engage with Pack for a Purpose. Listen to their moniker: “Small Space. Little Effort. Big Impact.” Get it? How easy is that? Well, it took us zero time to commit our focus and energy. 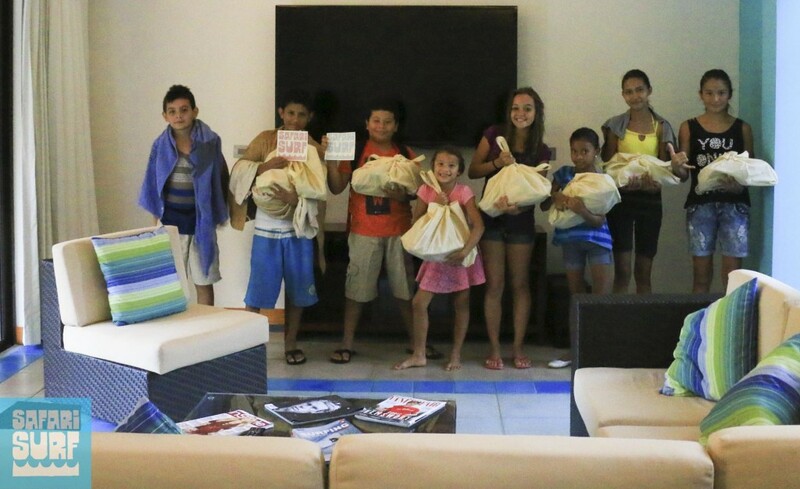 We knew that visitors to our surf school could easily make a difference by traveling with paper, pens, crayons, chalk and a number of other items. Therefore, in recognition of Safari Surf School’s sustainability initiatives as a core company value, we partnered with Pack for a Purpose to improve the quality of education for students attending school right here in our headquartered hometown of Nosara. This is an incredible opportunity to give back to our community while helping the local kids who are a part of less-fortunate families. We educate our guests during planning, especially those looking with philanthropic interests, that the delivery of supplies directly from a traveler’s accommodations is possible for every traveler and requires no logistical support. This takes only a small space, require little effort and yet makes a big impact in the lives of these children. 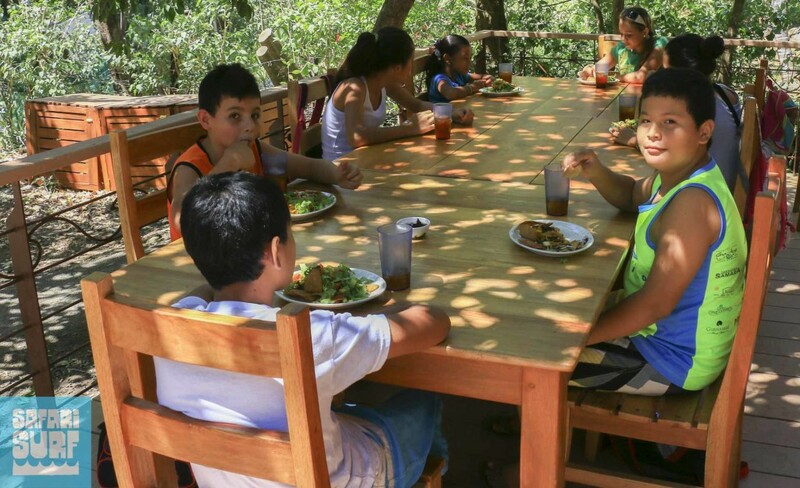 Quarterly, we also bring these children to our Surf camp and provide them with surf instruction, feed them a delicious lunch, spend quality time with them around the surf camp and provide them with a gift bag to take home and enjoy. 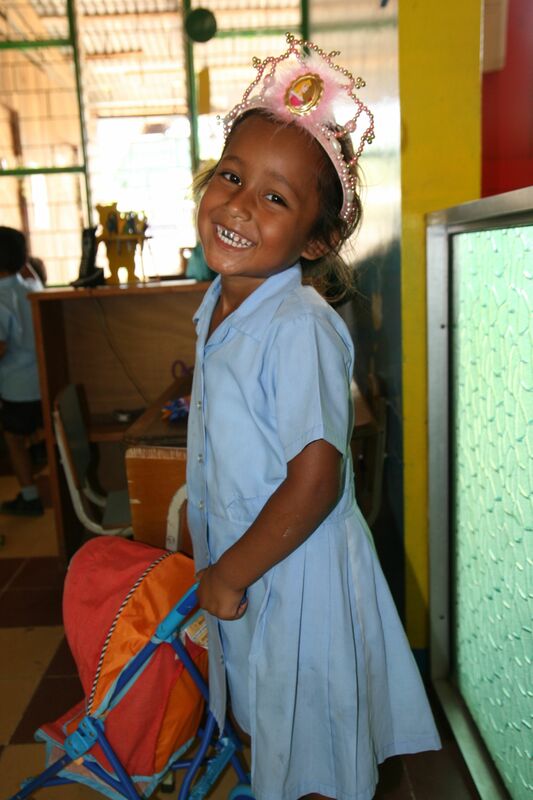 In addition, the beneficiary of our financial support to Pack for A Purpose is the Serapio Lopez Elementary School. With a capacity of 300 children between the ages of five and eleven years of age, they study and play out most of their days here. Of course, as Costa Rican schools set kids on the right path for their future, teachers must concentrate on English fluency, which we understand as vital for job seekers. Marsi and I recognize that one of the best ways for the kids to get a head start is through the availability of English books. Therefore, our goal is to establish a library of English books for the students at each of our local schools, both fostering and accelerating their education. We are proud to point out that already, hundreds of guests have participated in this program. At the end of the day, it’s all about the kids. Contact us, the staff can organize a delivery time, come participate and observe the joy of receiving on these kids’ faces!